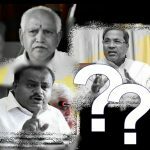 Although the voters may not have specifically voted for BJP, the state has become infamous for lawlessness for decades. With BJP now having a strong say in the government, we wish Bihar a better experience. I always wondered how Bihar voters think. The main reason behind my curiosity was the prominence of Mr Lalu Prasad Yadav and his brand of politics in the state. I was surprised when he boldly established his wife as the Chief Minister of Bihar when he ran into personal issues. This was not strange enough though. 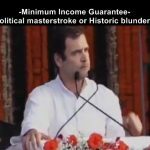 The baffling part was his party men and voters of Bihar seemed to have accepted that decision and again gave him tons of votes. Then, when the boat was sinking, Lalu Prasad brought Nitish Kumar to the power. They together managed to keep the voters happy. 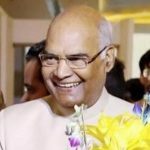 Nitish Kumar seems to have a unique thought process, to the extent that it enables him to be called an opportunistic, but he also shows some sense of self-confidence, a leader’s quality. When Modi wave appeared to swallow opposition parties, Congress, struggling to keep its national relevance, joined hands with Lalu-Nitish & party, and they made something called mahagathbandhan. With this alliance, Nitish Kumar managed to retain his seat in Bihar although once in a while he kept praising Narendra Modi. This made Congress and RJD fume but he went along with it and managed to keep himself in focus. Then came the second round of investigation on Lalu and his family. His son Tejashwi Yadav was charged by the CBI in a massive property scandal. Nitish Kumar already knew how BJP was getting stronger across the nation. 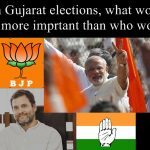 Although not a supporter of the BJP nor a public fan of Narendra Modi, he was frank enough to recognize BJP’s good work since it came to power in 2014. It appeared that Nitish Kumar was looking for the right time to switch back to supporting BJP. In other words, taking support of the BJP. Mr Lalu Prasad’s adamant attitude towards Nitish Kumar’s demand on Tejashwi’s resignation and BJP’s stated support in case he dumps RJD, made it easy for Nitish to leave the so-called mahagathbandhan. The BJP pilot, Narendra Modi, was not going to miss this political opportunity and rushed to congratulate Nitish for his fight against “corruption”. Amit Shah had already extended a helping hand to Nitish if he abandoned Lalu Prasad. As a result Nitish took the risk of playing the game. He resigned as Bihar CM on 26th of July and, as expected, with full support from the BJP, again got back the seat on 27th July. Obviously the Congress and other supporters of Lalu Yadav have a reason to cry and scream about the sudden political twist in Bihar. 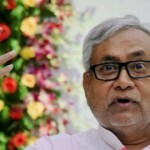 By Nitish Kumar again getting sworn in as the CM, and also comfortably sailing through the floor test, the entire political scenario in Bihar and, to a good extent, in India, has taken further turn. Lalu Prasad failed to keep the RJD in power and the Congress failed to keep the mahagathabandhan intact. Lalu still may have some hope from the voters but Congress is likely to have lost any remaining relevance in Bihar, and its image in Indian politics has suffered yet another blow. The party that achieved maximum out of the drama is clearly the BJP. It got Sushil Modi as Bihar’s deputy chief minister and will have a strong say in managing Bihar’s state affairs. I don’t think Nitish has much to lose here except his reputation as a mahagathbandhan leader. Those who he ditched, for whatever reasons, will obviously call him an opportunist. It’s politics after all. As someone said, Nitish Kumar is not a saint either. Also, BJP knows why Nitish joined hands with it and may drop him if doing so gains it more ground. Coming back to the voters of Bihar, I wonder if they will ever want to vote Lalu Yadav or the mahagathbandhan after this insane episode. 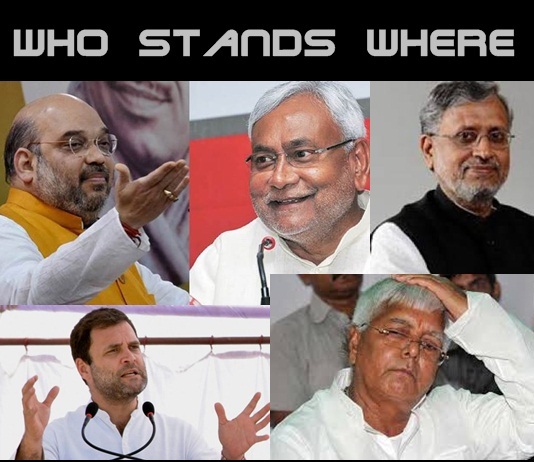 Whether they choose Lalu or Bihar, or Lalu and Bihar, remains to be seen and we will know it only when Bihar goes to the next state elections but their mood will certainly become more known after the 2019 national election. So far my personal opinion on the turn of events, I do not endorse the way Nitish Kumar switched back and forth but nonetheless the power shift in Bihar is likely to benefit Bihar. Although the voters may not have specifically voted for BJP, the state has become infamous for lawlessness for decades. People have lost hopes to get out of it. With BJP now having a strong say in the government, we wish Bihar a better experience. To add, all BJP members are not saints either. Looking back in time, Lord Krishna appeared in the fortunate Yadu dynasty called the Yadavas. 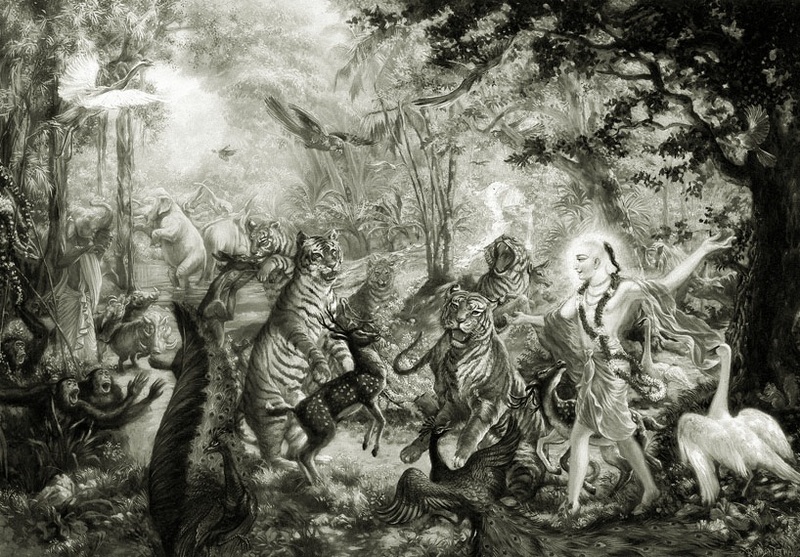 Although before leaving the planet, Lord Krishna sent off His eternal Yadava associates back to the spiritual world, to their respective abodes, by enacting a wonderful pastime known as maushala lila, the present-day Yadavas are, for some reason, considered or claiming to have come in His lineage. So it is a fact that Lord Krishna’s eternal associates went back to their respective abodes. However, some argue that this one incident did not wipe out the entire Yadava clan, and even if all adults engaged in the fight and got killed, there were children who survived. If that is so, and if the modern-day Yadavas are their descendants, with their deviation from their glorious heritage, and with their diminishing importance, it is to be understood that Kaliyuga is successful in expanding its influence on the Earth. Bihar has Jarkhand next to it. Lord Sri Chaitanya Mahaprabhu passed through the forests of Jarkhand in Bihar before some 500 years on His way to Vrindavan. This makes the land of Bihar a sacred place and the Biharis fortunate citizens. We wish them well, regardless of which party rules the state.